This was awesome. So much better than the commencement address my class got! Posey rounds the bases after a knock to left. Hard to see, but The Machine is walking the bleachers in center field. knocked him in. Burrell did the same for Tejada. Giants up 3 - 0. What’s The 2011 Outlook For Seed-Stage Investing? 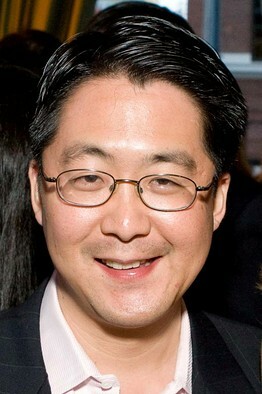 After a wild year that saw the emergence of so-called super angels and a surge in valuations for seed-stage start-ups, we caught up with Michael Kim, who invests in seed-stage funds, to talk about what to expect in 2011. Kim is a former venture capitalist with Rustic Canyon Partners and a former member of the board of trustees for the San Francisco Employees’ Retirement System. He left Rustic Canyon in 2009 to start up Cendana Capital, a fund of funds that invests exclusively in seed-stage or “micro-cap VC” funds. He hasn’t disclosed details of his investing or funding, but Roger Ehrenberg’s IA Ventures recently raised a $50 million fund and disclosed Cendana was an investor in the fund. There’s a growing interest by institutional LPs in the micro-cap VC space, which I define as under $100 million in size with a focus on being in the first-round seed investment of a start-up. Most advanced institutional LPs are beginning to recognize that micro-cap VCs firms are carving a permanent position in venture financing. They’re starting to see an ecosystem where micro-cap firms lead first initial financing which gives 12 to 18 months of runway to hit operational and financial milestones, then you have traditional Series A investors becoming the new Series B. An important element is capital efficiency. In the last 10 years it’s becoming cheaper to start a company. Great WSJ interview with Michael Kim of Cendana Capital -- he knows the micro-VC space as well as anyone and is one of the smarter people out there.